I got almost a week out of the orange and blue. Interestingly some of the white dots came off, which I found odd. But they still looked good if you didn’t get too close. So I’ve put on a new color, fingers and toes. The fingers, it’s a new color I got a week ago and have finally been able to try. The color is by Sinful Colors and is called Easy Going. It’s a nice pale pink, but not opaque, so it didn’t take a gagillion coats. Also, the shade kind of makes it look like I’ve got a tan. For my toes, I saw an idea on Pinterest which I used on my toes. When I saaw it on Pinterest I got really excited because I knew I had those exact colors. 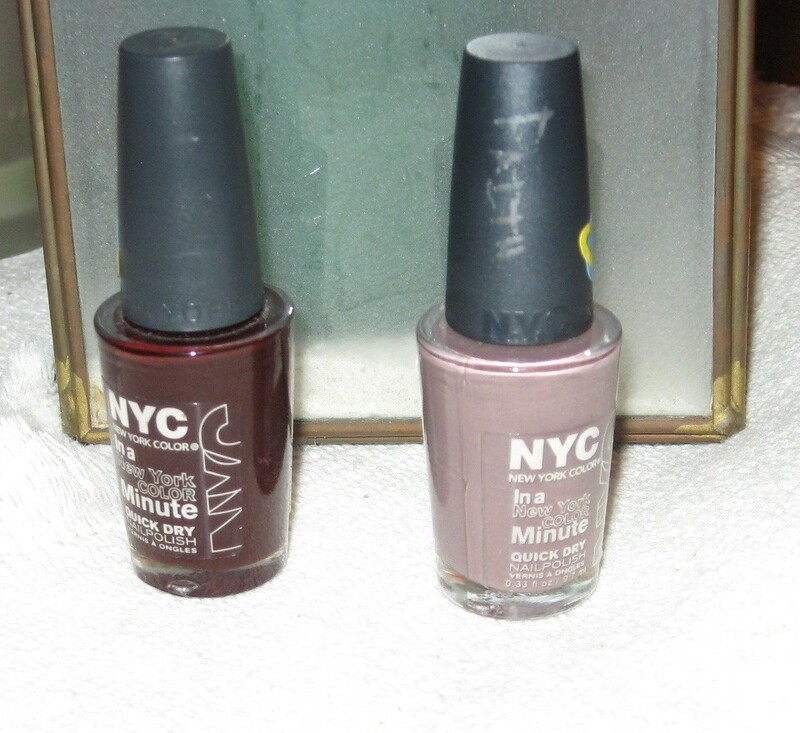 Both of the toe colors are by NYC (New York Color), and they are Park Ave (mauve) and Lincoln Center (dark red). Click here for the site that has the original design idea, please check it out.